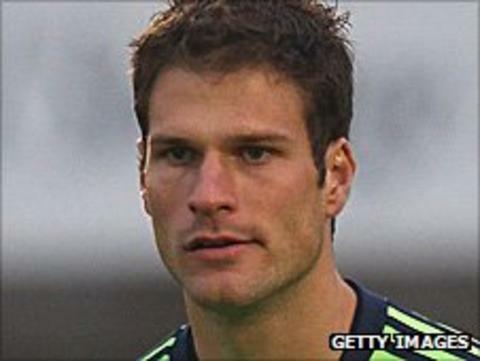 Stoke manager Tony Pulis believes in-form Asmir Begovic still has work to do before becoming a top-class goalkeeper. The Bosnia international, 24, has conceded one goal in seven starts for club and country this season and starred in the 1-0 win over Liverpool. "He hadn't played many games when we paid £3m for him [in February 2010] but we thought he would be a top keeper," Pulis told BBC Radio Stoke. "He's not there yet, by a long way, but he's progressing well." Pulis continued: "He's also got good experienced goalkeepers around him in Thomas Sorensen and Carlo Nash. They've been good for him as well, they'll keep his feet on the ground." The Stoke boss has already confirmed that Sorensen will start in goal for the Potters in their first group match in Kiev on Thursday evening. "We've got Thomas who will play, Glenn Whelan is itching to play and Kenwyne Jones will play," added Pulis. "We're going to give it our best away from home, we'll pick teams that will be competitive, but the games that we really want to win will be the games at the Britannia Stadium." Maccabi Tel-Aviv of Israel and Turkish side Besiktas are Stoke's other group opponents. BBC Radio Stoke will have live commentary of Dynamo Kiev v Stoke City on Thursday, 15 September from 1730 BST.